If you are out of balance and wants to send only some sms also you have less balance then this jazz daily sms plus package is right for your need because this jazz daily sms plus pkg give you 150 free sms in just Rs. 2.38 including tax for whole 1 day. Jazz 24 hours sms plus offer subscribe code is *106*1# and you can have this offer for whole 24 hours. Jazz *106*1# sms package details like validity, terms and conditions, status string id and subscription codes are written below in table. 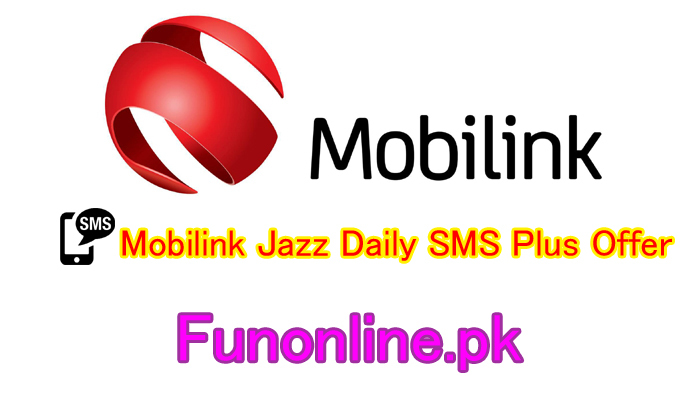 Mobilink Jazz is only company in pakistan that have introduced so many sms offers on daily basis so that every person can choose its needy one package. Mobilink sms plus offer for 24 hours a day is right choice for those students who only needs some sms to send in all the day. Jazz reserves the right/discretion to set/change the price/rate of any offer/package/bundle or withdraw/revoke such offer/package/bundle at any time. Where required under PTA’s regulations, prior notice shall be given to affected customers accordingly.